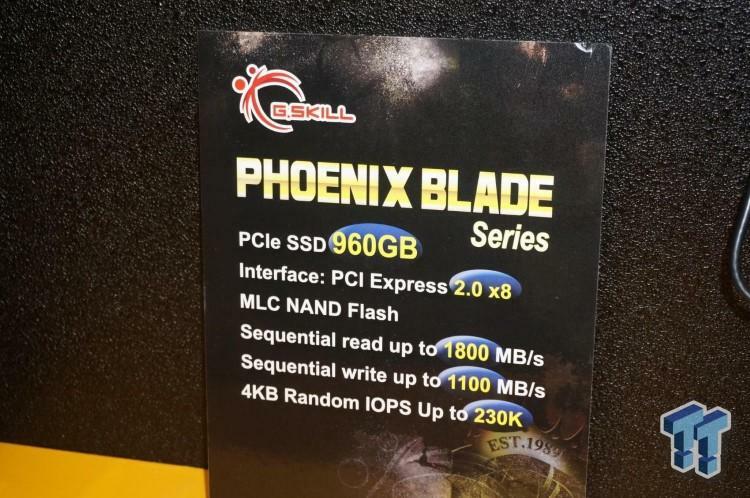 G.Skill have wowed many people at Computex 2014 with their Phoenix Blade SSDs and rightly so. Combining incredible good looks, an awesome name and blisteringly fast read rates these cards are sure to be flying off the shelves. 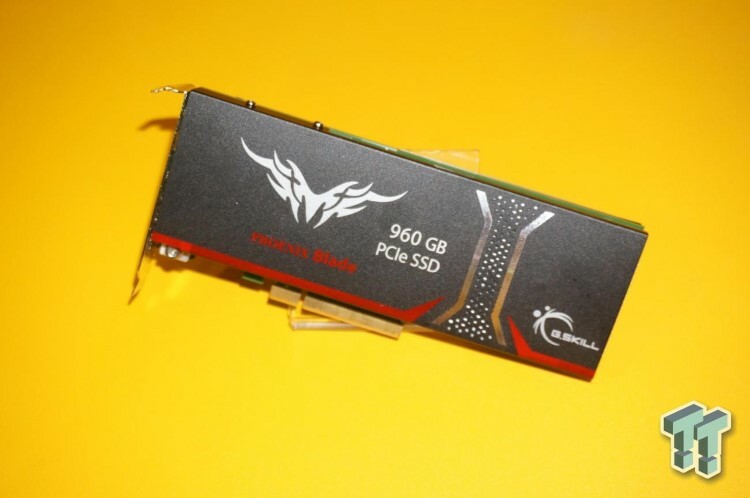 These cards are PCI Express 2.0 compatible and come in 480GB and 960GB capacities. 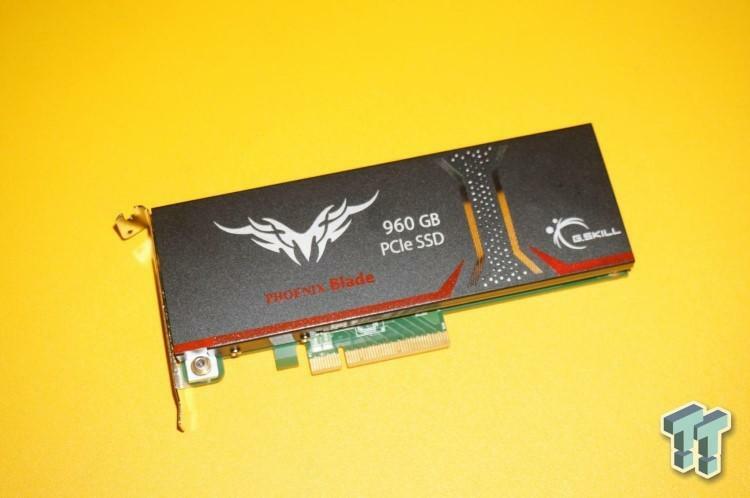 The 960GB card is capable of sequential reads of up to 1800MB/Sec (1.8GB/Sec) and sequential writes of up to 1100MB/Sec (1.1GB/Sec). In case that wasn't enough to get you excited the 4KB Random IOPS are hitting 230K. Impressive hey? No prices have been announced but we're sure they won't be cheap. We're looking forward to getting our hands on one of these.